Hey Everybody! I know it has been a very long time since I have posted. But, man, I tell you what....it just seems like by the time I get home from work, having dinner, and spending time with the family, the last thing I feel like doing is sitting in front of the computer writing a blog post. I don't think people truly appreciate the amount of time it takes to create content and manage a food blog! But, the good news is I haven't really stopped creating content for the blog, because I haven't stopped cooking at all...the managing the blog has been the achilles heel for sure. "But, Eric, there is always nap time during the weekend where you can sit and blog!" True...there is....but I love playing video games haha. I do miss you all very much and am going to make a better effort to get posts done on a weekly basis. So, since I didn't have a horse in the super bowl race this past weekend, actually it was quite the opposite since I dislike New England and Philadelphia. I decided that I could drown my sorrows in delicious food and my wife recommended meatballs...so here we are. 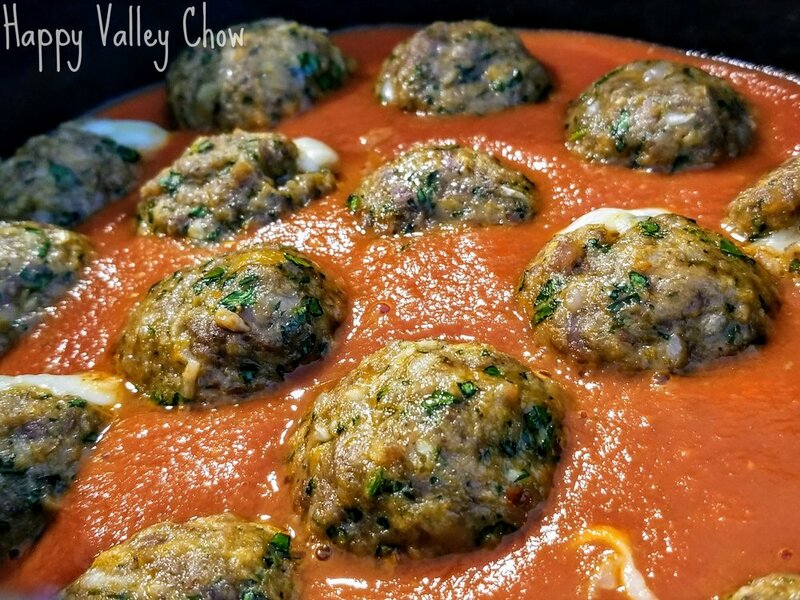 Delicious mozzarella stuffed meatballs made with a 50/50 blend of ground beef and Italian Sausage that were then slow cooked in a delicious homemade marinara sauce. We ended up making meatball hoagies, but you can use them however you like. Give them a try and let me know what you think below in the comment section! Position an oven rack in the lower 1/3 of the oven. Preheat the oven to 400 degrees F. Line a baking sheet with parchment paper. In a large bowl, combine the onion, 1/2 cup parsley, 2/3 cup Parmesan, bread crumbs, egg, ketchup, garlic, red pepper flakes, 1 teaspoon salt, and 1/2 teaspoon pepper. Add the beef and Italian sausage. Using your hands, combine all ingredients gently but thoroughly. Shape the meat mixture into 16 (1 1/2-inch-diameter, roughly 2 oz) meatballs and place on the prepared baking sheet. Make a hole in the center of each meatball and place a cube of mozzarella inside. Reform the meatball so that the mozzarella is completely covered with the meat mixture. Bake the meatballs for 15 minutes or until internal temperature reaches 165F. Use meatballs however you like! In my case, I put in the crockpot with some homemade marinara (Recipe below) and made meatball hoagies. In a large pot, combine oil and garlic and heat over moderately low heat until garlic begins to very gently sizzle. 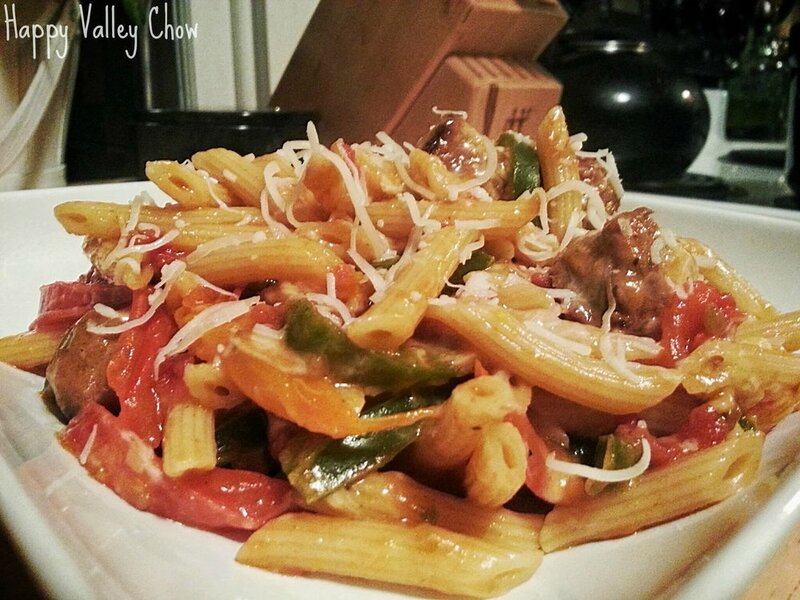 Add red pepper flakes and cook, stirring, until garlic just begins to turn a light golden color, about 3 minutes. Add oregano and continue to cook, stirring, for 1 minute. Add tomato paste and cook, stirring, until paste has softened and blended with the oil, about 3 minutes. Add basil and simmer, stirring occasionally, until sauce is reduced slightly and tastes rich, about 30 minutes. Season with salt. Discard basil. Stir in butter, if using, until melted. Use sauce right away, or allow to cool to room temperature, transfer to sealed containers and refrigerate for up to 5 days or freeze for up to 6 months. Cooking your meats to the perfect temperature is crucial not only from a food safety stand point, but from flavor and tenderness stand point as well. Make sure you cook your pork, like in this recipe to 135F. 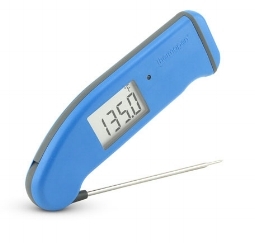 The best way to accurately monitor the internal temperature of your meats is by using a Thermapen MK4. They are the most durable, accurate, fast, and reliable thermometer on the market. These are a kitchen MUST HAVE! Go buy yourself a Thermapen MK4 today!